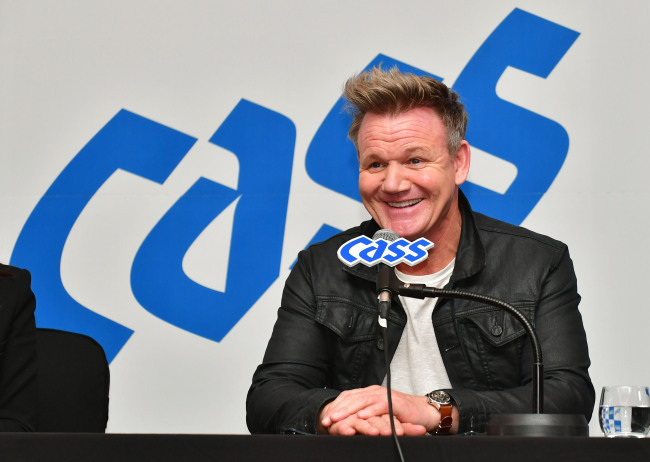 Michelin-starred chef and television personality Gordon Ramsay called Oriental Brewery‘s beer Cass a “beer of the people,” saying that its easy accessibility and fit with Korean cuisine was what drew him to endorse the brand. “I have fallen in love with Korean food, and it doesn’t need to have an oversophisticated, slightly unique beer that costs a fortune,” Ramsay told reporters at a press conference at the Conrad Seoul on Saturday. Ramsay received some criticism here on social media after agreeing to endorse Cass, with critics alleging Ramsay was not being sincere in his praise. “I‘m far from embarrassed,” Ramsay said, brushing off the allegations.